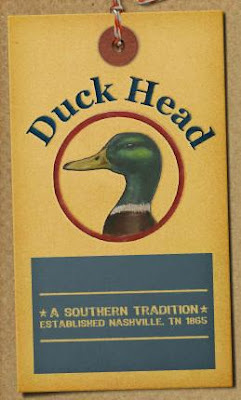 "The Duck Head line will officially launch in retail for Spring 2012 and we are still presenting to the various retailers. In the meantime our website is LIVE at www.duckhead.com and you can use coupon code DHW186520 to get 20% off and also we offer FREE shipping on orders over $100. I will be placing an order for their staple chinos (the khaki and the famous duck olive colors are taunting my wallet right now...) and will post my review soon. Good work Mr. McFadden, and good luck to this new venture. Now let's spread the word!